Recently my husband and I woke on a Sunday morning and went about our typical routine getting ready for church. As I rushed about getting my children fed and dressed, I didn’t know what a lesson in faith I was about to receive and from an unexpected source. I paused. I was suddenly convicted. Here was my child who had just heard of one of Jesus’ miracles. She was amazed. I, on the other hand, had heard the story countless times. Jesus feeds the 5,000—yep! Jesus brings Lazarus back to life—uh huh. Jesus calms the storm—heard it. Jesus walking on water is not a story only known to devout Christians—most of the world has heard the story, at least in part. There’s even an animal whose nickname comes from this account. The Green Basilisk Lizard of Central and South America can also be referred to by its colloquial name—Jesus Lizard—for its ability to run on water. If you showed a group of adults who had never seen or heard of such an animal a video of the basilisk lizard they would be in awe. When fleeing a predator, the basilisk can drop from a tree and run a span of about 15 feet while holding most of its body up out of the water. It really is incredible to see. If you told the same group of people about Jesus walking on water, would their reaction be the same? Would they be just as amazed? Would they be doubtful? Indifferent? What about you personally? We as believers are so accustomed to hearing the good news of what Jesus has done that we can easily become jaded, not recognizing how truly awesome our God is. And our God is real! He walked the Earth in human form, He performed miracles, He died for you, and He rose from the grave. That is beyond anything that I can comprehend other than this all was of God. And, of course, HE WALKED ON WATER! He didn’t just walk on a puddle or a small pond. No, my God walked on the Sea of Galilee, which is called a “sea” for a reason; its deepest point is about 141 feet, it is 13 miles long, and 8 miles wide today. Jesus performed this miracle in a horrible windstorm, and once He got into the boat with His disciples, He calmed the storm so they could safely cross. That is nothing short of awesome! I am so thankful that my child reminded me of what a mighty, powerful, and awesome God we serve. 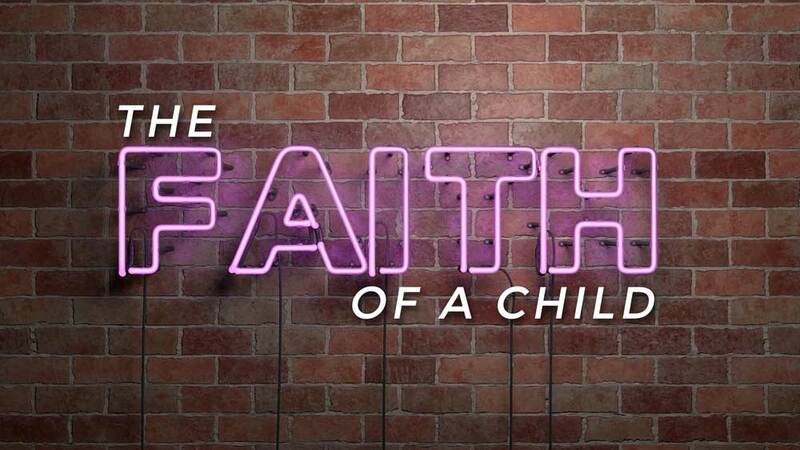 We Christians call this “child-like faith.” As parents we get to experience what that really means firsthand. There are so many things that we get to experience for the first time again through our children’s eyes: their first time seeing Christmas lights, fireworks, an elephant (my child actually wept with joy when she saw an elephant in person for the first time). They remind us of how truly beautiful God’s world is. But it was when I witnessed my daughter’s wonder, astonishment, and absolute belief in the greatness of our God and what He has done that I truly saw child-like faith. One of the most precious things I have ever heard is the sound of my daughters praying. My youngest child tends to tell God what He has done. It’s kind of funny to hear her tell God that Jesus walked on water, but I’ve since begun to think that it isn’t so much for the purpose of telling God as much as it is reminding herself. Whatever is going on in your life, He did walk on water. He did calm the seas. He did die on the cross, and He did rise from the dead. He is the reason you can have eternal life. There is no other word I can think of to describe that other than simply awesome. So, instead of being the teacher in the relationship with my child, I have begun to let her teach and remind me of what child-like faith really is. Yes, children are the most important people in the world. They are important because of the hidden potentialities residing in them. They are important because of the tremendous influence they have on adults. They are important because they are constant reminders that it is only the trustful, the open-minded and those who have not lost their sense of wonder who are fit for citizenship into the kingdom of God. As parents, we realize how fortunate we are to have been blessed with becoming mothers and fathers, but it is easy to forget that the blessing of children isn’t just the indescribable love we feel and joy we gain from their mere presence in our lives. We are called to do so much for them—including raising them in the admonition of our God and modeling Christ-like behavior. But, in an incredible way, God has blessed us with them to teach us, too. Because when I see my child, I see true, pure, and attainable child-like faith. Precious story and good reminder of our truly awesome God. Beautifully written.